These standard rod ends are a general purpose, two-piece design. They have a carbon steel body and a hardened steel ball without a race (metal to metal contact). Q: Does it come with nut & washers? Q: I need this part however, can I get it with 5/16 shaft and a hole that would allow a 3/8 bolt to pass through the eyelet? 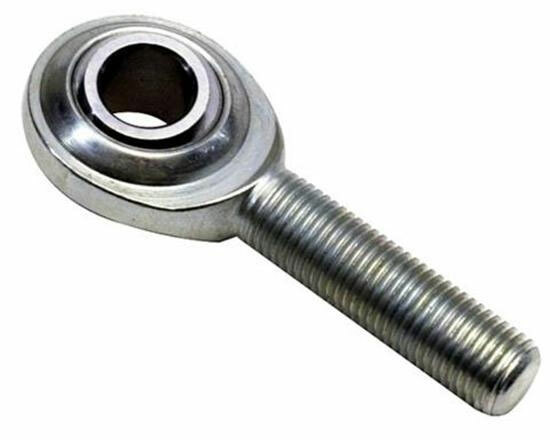 A: Sorry, but every Male Tie Rod End we carry the shaft size and the pass through eyelet whole are matching.